This topic contains 7 replies, has 3 voices, and was last updated by Kaptain Kobold 3 months, 3 weeks ago. 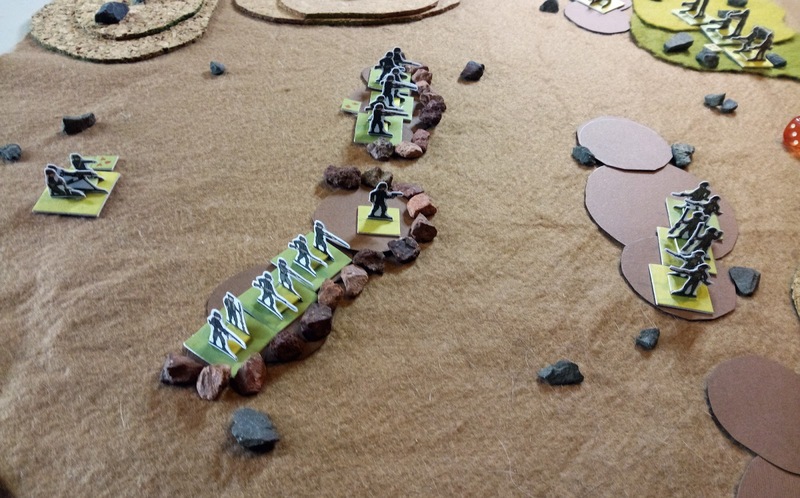 Having printed off a German and British platoon from figures on Junior General, I played my first game last night. 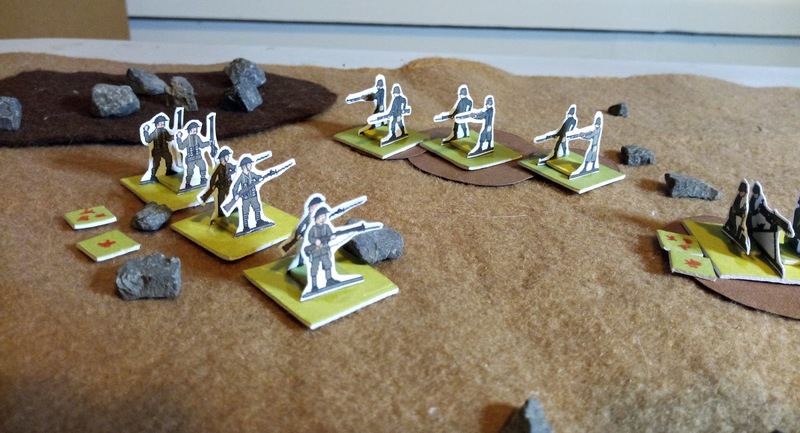 I did the first scenario from the book, but kept the tactics simpler by only using a basic platoon for the attackers at the expense of the defenders simply being in shell-holes and not trenches. I made a few mistakes with factors and so on, but the game worked very smoothly and, despite the limited space and relatively large move distances and ranges, still forced to make choices and decisions about moves and position. This topic was modified 3 months, 4 weeks ago by Kaptain Kobold. Thanks, for posting your AAR!! I played a second game, this time according to the actual set-up with the Germans in trenches and some support for the British platoon. The results were similar but, as you’d expect, not so decisive. And I made fewer mistakes with the rules as well. I want to play these rules but still have yet to figure them out. Which particular bits are eluding you? I fought through the post-Christmas food coma yesterday to try some more Trench Hammer, this time focusing on the trench assault scenario. The Germans were attacking with a heavily reinforced platoon, whilst the British defenders had a half-platoon in the front line and a few more squads in reserve. 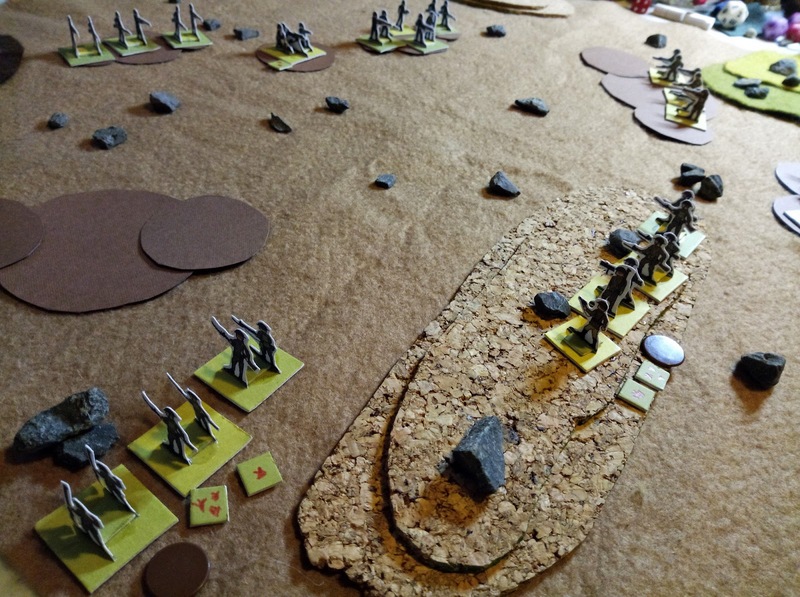 The first game saw the Germans stall in front of the British defences and then the British reserve show up on the first turn it was possible to do so, pretty much halting any further attack. The second game was closer, with the Germans able to push into the trenches before losing their foothold to a counterattack in one sector of the board and the timely arrival of reserves on the other. 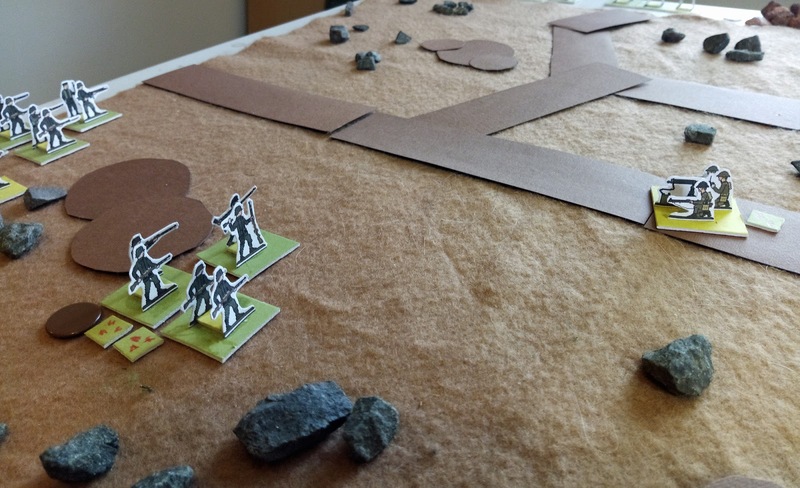 Another game of Trench Hammer. I went back to the assault on the entrenched MG position scenario, but this time I was playing against another person (all of my games thus far have been solo). He took the attacking British and after a shaky start eventually ousted the Germans from their position. His platoon knew it had been in a fight though.